Musicians Friend Inc owns and operates in direct marketing of music gear products all over the United States. The Musicians Friend Company provides products such as amps and effects, guitars, basses, keyboards, live sound equipment, recording software, drums and percussion, studio gear, accessories, music related clothing, DJ equipment and lighting, music instruction videos, and music books. The products of the Musicians Friend Inc are also available through its mail order catalogs and its website, musiciansfriend.com. The Musicians Friend Company was founded in the year 1983 and has its headquarters located in Medford, Oregon. 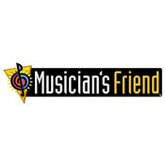 Musicians Friend Inc runs as a subsidiary of Guitar Center Inc. There are currently 0 consumer reviews about Musicians Friend available. Share your review. Please take a note that you are about to post a public review about Musicians Friend corporate office on CorporateOffice.com. This review will be public, so please do not post any of your personal information on this website. If you would like to contact the corporate offices of Musicians Friend, please use their contact information such as their phone number, website, and address listed above to contact them. However, sometimes staff from Musicians Friend headquarters do read the reviews on this website.